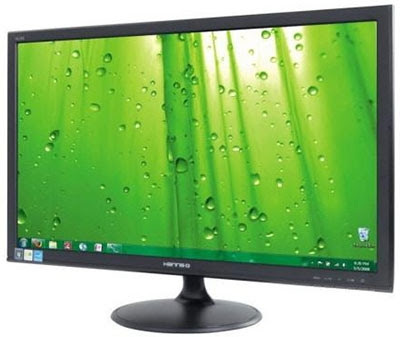 HANNSG today announced the release of the HL245 LED , a 23.6" LED monitor with full HD (1920 x 1080) resolution support , and stunning 15000000:1 dynamic contrast ratio with VGA, Audio, DVI-D inputs , with a price tag at £135.99. LED backlighting technology: increases a monitors green credentials and increases a display's lifespan. The HL245 is around 20% more energy efficient than its LCD counterparts and is much more recycling friendly as it doesn't contain hazardous materials such as Mercury.